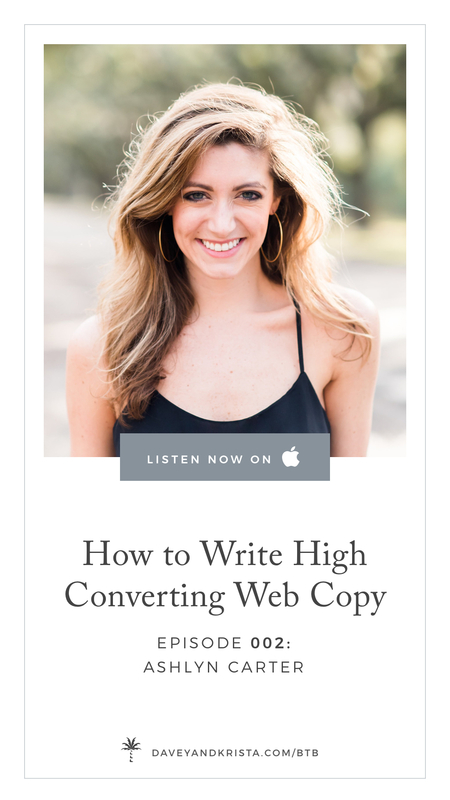 Ashlyn of Ashlyn Writes shares a look at how she started her copywriting business, and provides tips for writing high converting website copy. Ashlyn writes well-appointed words for creative women as a copywriter & calligrapher. 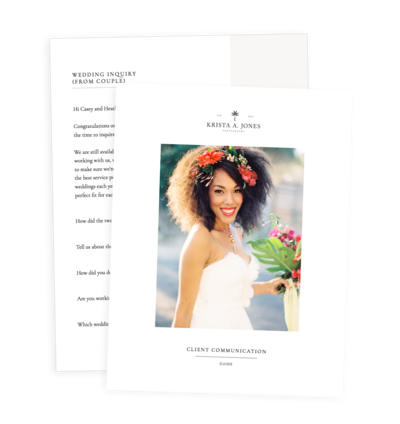 She left her job as a publicist to go full-time with her calligraphy biz for brides–and realized there were lots of creatives fumbling with their message and sales copy (you can take the girl out of the PR agency … ). Trading clients like Delta Air Lines and Chick-fil-A to write website copy and launch copy for creative industry dreamies like Jenna Kutcher, Katelyn James, Heather Crabtree, Hilary Rushford and Justin & Mary Marantz is just the bee’s knees. Her calligraphy has been featured in Southern Weddings and The Knot. When not writing about herself in third person, she’s usually trying to scratch the ink off her fingernails or grabbing margs and tacos with her husband. You have to check out her quiz on How to Find Your Online Voice Vibe. A note about the transcript: The interviews are transcribed by an online app, and there may be errors in the transcription. While we do our best to correct errors—especially those that may change the meaning of what a speaker was trying to say—we do not catch every error. Thus we ask that people refer back to the audio/video for quotes. Also, please refer back to the audio/video if something is not clear in transcript; however, if you are hearing impaired, feel free to email us if you have a question. Ashlyn Carter: 00:10 An FTS moment stands for F this Shiz. So you want to know when your client or prospect has that moment where they’re like crying into their Merlot and they’re like, I’m done. I’m done. I will pay for this. I am so over this problem. This is not going away. If we can figure out that, we are going to be able to write good copy. 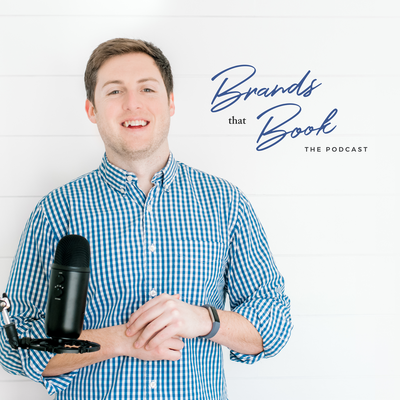 Davey Jones: 00:33 Welcome to the Brands That Book Show – where we help creative businesses find more clients and build their brands. I’m your host, Davey Jones. Today’s guest is Ashyn Carter, a copywriter for creative women. She’s had the opportunity to work with some of the biggest names in the creative industry, including Jenna Kutcher, Heather Crabtree, Hilary Rushford and others. 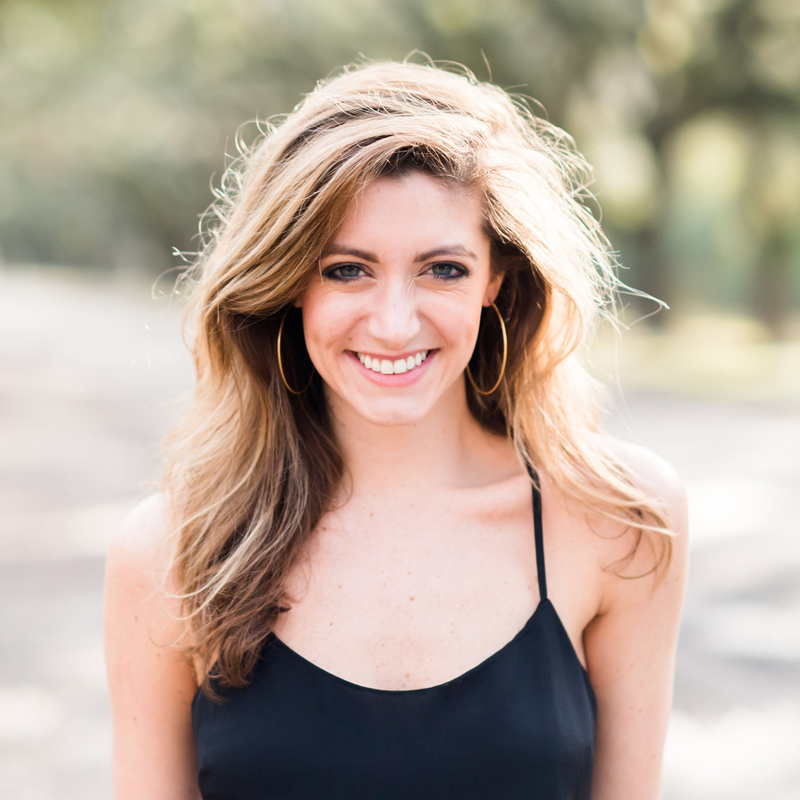 And beyond that she’s also a talented calligrapher and her work has been featured in Southern Weddings and The Knot. Today, Ashlyn talks to us about how her business began and gives us tips for writing high converting web copy on our own websites. Ashlyn Carter: 01:18 Well that means the world. Davey Jones: 01:30 I’ve heard I’ve got the opportunity to hear you speak on a number of occasions now and each time I hear you speak, uh, you know, there’s always something new that I pick up and you’re such a talented educator and speaker, that, you know, recently I’d ask you to speak to our course students and they love that. And so I asked them, you know, if you could ask Ashlyn anything, what’s one question you would ask? So I have a whole list of stuff, eventually that I’m going to have to get through. Um, but before we get to that, today you’re really here talking to us about some practical strategies for writing high converting web copy. And I’m excited to get into that. Ashlyn Carter: 02:12 I just want to pause and say I appreciate so much your kind words. I feel like if I could pick like where’s the brother that like in this industry that I didn’t get when I came out of the womb, the twin, I don’t have, I feel like you think in a marketing way and so that it means a lot what you say because I do think you’re very shrewd copywriter yourself and I’m really, really good online marketing. Davey Jones: 02:32 Thanks. Well, you know, to be honest, one of the reasons that I decided to start a podcast, it was because I get the opportunity. It’s an excuse to learn from all the people that I want to learn from. So I’m excited to take what you talk about today and apply that to my own copy on our website which is currently going through some updates that will be launched by the time this this podcast launches. And for those of you are sitting at home or it’s like high converting website copy, that kind of sounds like a little scary. Don’t worry. We’re going to ease our way into it because first Ashlyn, you have such an incredible story and I feel like especially in the last year or two years, you sort of just, you’ve just blown up. You’ve come out of almost nowhere. Especially on the copywriting scene and I’m, I’m sure it’s, um, you know, we can attribute that I’m sure to adjust how skilled you are in doing that, but then also kind of a people realizing the need for good copy and what that can do to their websites. So could you talk about, you know, really, when you got started, what was the first, you know, you have a corporate background. So how did you even get into, you know, tell us kind of the, uh, the short story here. Ashlyn Carter: 03:46 There is the documentary on “The Founder” (McDonalds), I’m sure you’ve seen that. Ray Kroc, believe what you wish about him, that he has that quot e where somebody told him that ‘McDonalds was an overnight success’. He said ‘yeah, but that was the longest 30 night sleep.’ You know, I think whenever anybody says that this is kind of like, it did grow fast, but um, my store is really messy and as long as I’ve been doing what I do now for a really long time, the audience just shifted entirely. So, like you said, my background study, journalism, mass communication, poly-sci, loved my, like never changed my major once. Loved it. And um, the dream when you grow up in as a little girl in a small town in Alabama was to work in the big city of Atlanta. Right? So that’s what I wanted. And moved over and started working in agency, public relations and communications. Ashlyn Carter: 04:38 And so again, being in Atlanta, the clients that we serviced where the Coca-Colas, Delta Airlines, Chic-fil-A, anything that’s built here, those were the clients and the agency I was at and I loved agency life. I loved the culture. I love that fact there was a beer cart that came around at 5:00, like it was just like Disney World to work in. It was just fun and energetic and I am just ate it up, loved what I did. But, um, I worked constantly all the time and I ended up moving from there to work, um, as a celebrity chefs based here in Atlanta as publicists for him, his 11 restaurants in, um, he, he lord me over with the idea that maybe I could work a little less, um, because I was working, I guess I constantly, and I’m unfortunately not just due to him a lot to me, which I don’t want to talk about. Um, that didn’t actually happen and, I kind of realized I was just very prone to workaholism and kind of like perfectionism and loved being busy. And so, um, one thing led to another and uh, my, my deer has been proposed and it was kind of the straw that broke the camel’s back. Couldn’t keep all the balls in the air because I hadn’t mentioned throughout throughout all of this. My side hustle, moonlight job to honestly just get creative break was doing calligraphy for brides. So all these things obviously can’t fit in one life. And so, um, I started managing things like in the dumbest way ever. But I started measuring what went into my body. And then what I could get out through exercise and that just very quickly created this bank and before I knew it had full on, developed an eating disorder, studied ballet for 18 years. Ashlyn Carter: 06:09 So this shouldn’t, like there are some, there are some patterns. Um, but I had to go into hospitalization. I was 27 years old and like obsessed with my job and then had to go on medical leave of absence, which I thought I would never, uh, yeah, I was just so worried about losing my job, which is funny now because it was through that, that time and hospitalization that I sat there and I was like, you know what, this is not, this is not conducive. This is not fun. I’m not enjoying life right now. Um, and that was the first moment I realized you could change that if you don’t like it. So I started dreaming about the day, you know, maybe I could work for myself, maybe I could write for who I want to write for and control my own time and my own schedule. Ashlyn Carter: 06:47 And I came home and complained once too many days after I went back to work and my husband was like, that’s it, you’re done. And I’m so glad he had the foresight to kind of call me out on that and um, pushed me to start my own business. So I did not start out doing just copywriting first. I’m primarily did calligraphy and also did all kinds of writings to stay busy. I was going to raise my hand for it. Um, and about just the single about page if they needed, um, editorial copy for magazines going to do that. I did everything and it was um, through. I know we’re both, I’m mutual friends with Christina Scalera. It was three women like that kind of being like, ‘Hey, you know what?’ And I’ll talk about it later on. ‘Maybe you should, maybe you should lock into this copy writing for creative thing, you know, you, you seem to enjoy that the most.’ And so now that is, um, we only service. This year we’re only doing about five brides. I’m cutting way down. And so calligraphy is still there. I’ve kind of learned to look at it as my creative outlet and a place to um, just have a rest and enjoy making something with my hands, but we, uh, we write conversion copy for creatives. Davey Jones: 07:50 Yeah, that’s awesome. And I want to unpack what conversion copywriting means, but you know, your story and you just, you summarize it in like 60 seconds there, but there’s so much there, you know. So I want to, I want to go back. When you’re, um, when you’re in your PR Communications Agency job, were you doing a lot of writing then? Ashlyn Carter: 08:07 Yes, constantly. When I was in the agency I did, um, and I didn’t even know what copy was. So anybody listening who’s like, not quite sure it was, I was like writing copy for Delta Airlines without knowing that that’s what that was. I just knew that we had to flush out the words to go into the email marketing campaigns that we would send out to the Sky Miles customers. So I did a lot of writing. I actually didn’t do and working at the Communications Agency, the accounts I was on as much pitching, which means our contacting with reporters and media relations, but I was um, I had done that in other jobs, so that was kind of, that was something I loved, but when I switched and started working for that shift, the bread and butter of what I do switched from website copywriting, email marketing campaigns and planning big events for Sky Miles customers to pitching. Just bread and butter media relations in pitching. Ashlyn Carter: 09:07 And that was a lot of writing too. You know how when you’re trying to figure out like what, what does this, what does the Ashlyn size hole in the universe. What is the thing I’m good at that I can step up to the plate and do people always say to you, you’re like, what people think? That’s hard. And to me that’s always been marketing writing. I think I just, that was when I fell into the creative ecosystem and realized, wait, you mean people like writing their websites? I was like, come on, man, is the easy part. It’s other stuff that I don’t want to do. Um, that. Yeah, definitely. Davey Jones: 09:31 Yeah. I feel like people would dread writing their websites, but calligraphy. So how did you know calligraphy at first it just a, just sort of like a stress relief for you. So did you just pick it up on the side and how did that come about? Ashlyn Carter: 09:45 So I remember being in Michael’s, you know, that art supply store when I was like 11 and I saw a kid… I always liked, I felt, I’ve always felt like I’m creative if I have the balance within to work. Like I think ballet, like I like give me, give me the technique and I can get from there. I’m not really like a on my own kind of creative person I don’t feel like. And so that’s why I fell in love with like words and making words beautiful. I used to sit in the back of chemistry, didn’t quite understand them all and I would just doodle on my notes, just make really pretty words. And so people quickly started, um, like if they needed a chalkboard done or they need a name tags done for sorority recruitment, like I was always the one that they ask and then, um, somebody asked me to do their wedding and about a third person ask them to do their wedding. And I was like, you know, what, I should probably like actually learn the technique behind this. And so I did and I just loved it. And I think after typing all day, it felt so good to make, make a piece of art. That was, I’m not gonna I, I kinda love like, I like flowers, but that doesn’t last. There’s something about it that’s cool. And so it’s never bothered me that it’s paper, you know, it’s not canvases. That’s my, my medium of choice. But um, yeah. So I, um, and we can talk more. I’ve been told a lot to cut, you know, like why don’t you just split the business? Why don’t you just cut it out? And, um, for a lot of reasons I, I’m not going to. Davey Jones: 11:08 Now that it’s not the main focus of your business, do you find that it’s still sort of has that same therapeutic stress, or a stress free, you know, nature to it again? Ashlyn Carter: 11:19 I think it absolutely does. I also really enjoy that. It reminds me what it’s like to be my clients, especially the clients that I service that are in the B2C space that are still booking those brides. I still know what it’s like to try to book brides and fill out your calendar, and do that, that basic bread and butter client work that’s maybe not in the funnel-mapping course-launching kind of realm that a lot of entrepreneurs grow t.
Davey Jones: 11:44 Yeah, I feel like it’s similar with wedding photography, you know, we don’t do nearly as much wedding photography anymore, but it’s crazy when you go down to just shooting 10 weddings a year, all of a sudden you have that much more time to you get to know your clients. Um, and so that, that to a certain extent now is, you know, I, I wouldn’t say it’s more fun, you know, we always enjoy working with our couples of course. But um, there is uh, there is definitely a aspect of fun that we don’t have. Um, when we’re shooting 40 weddings in a year. Ashlyn Carter: 12:16 You nailed it. That’s exactly what it is. Yeah. Davey Jones: 12:18 So when you’re, you’re working as a publicist, um, you have this calligraphy side hustle. Were you making money from that side hustle as you’re working for this publicist? Davey Jones: 12:57 So how did you make that transition? So your husband comes to you and says, “Hey, listen, you gotta you gotta give this, you got to give up all this other stuff now.” And so he gets you, you know, a laptop to, to focus on calligraphy, I guess, and what, you know. So what do you do then? What was your first step? Did you feel overwhelmed? Like, oh, I got to imagine that leaving your full-time job, you left behind a salary and benefits, um, to move into calligraphy and where now you’re working for yourself. Like what did that look like? Ashlyn Carter: 13:28 Yes. I was convinced that you could never make more on your own. That’s um, which somebody had told me a mentor of mine, you know, she’s like, no, like you can make as much or more like it’s not, it’s not stupid to leave your corporate job to work for yourself. But, um, I think that primary, that first Monday it was raining here in Atlanta and I sat in my office and I was like, oh, expletive, like I got to book people because like it is this or nothing. I did not. I remember like when I was dreaming about starting my job and I’m going to have six months of clients ready to go, retainer work. Like I’m going to be an editor at a couple of magazines around town so I’ll have that steady income. Like I’m going to do this. Right. And that is not what happened at all. Davey Jones: 14:10 So how did you, how did you go find a find those first clients? Ashlyn Carter: 14:14 The first client I pitched… I knew how to pitch. Right. And you had to like put myself out there and like make, make some recommendation. Hey, I see you regularly have this story in the magazine. Um, what about, what do you think about this idea? I could write it for you, you know, here’s my, all writing. Boom, job. So I did that a few times. So I had those regular writing jobs, had a couple of friends around town. I communicated pretty broadly to my network of, you know, Yuppies, friends in Atlanta, I’m moving. And of course then the block, we need content for our corporate blog. All those jobs came in. I took it a lot of corporate clients. Um, I did not take on creative entrepreneur servicing at all for the first probably three or four months until I’m a light bulb moment happened. Ashlyn Carter: 14:56 But, so that’s how I got the writing jobs. And then the calligraphy, I just started honestly posting about it on social media a lot. And um, people started recognizing that, hey, she’s doing this full time now. I guess we could book her so that, those first, that first batch of clients. But it was still very hustle-minded. I think I acted out of a place of scarcity in just always worried the jobs we’re going to run out. And um, it will live very scary time so I just said yes to every single job that came in. Davey Jones: 14:56 And do you think there was any value to that? We talk a lot about finding your ideal clients. Certainly you want to write copy for a specific client in mind, but do you think that there’s any value when you’re first starting out in, in kind of taking what came along? And it sounds like to me, copywriting and calligraphy, that was, that kind of all happened at the same time. Ashlyn Carter: 15:51 Yes. It did. It happened in tandem and like the Essentialist, Greg McKeown, like Lebron, he was like, well I did do all these things at once, but um, that, that big moment where it shifted. I invested in Bonnie Bakhtiari’s Illume Retreat and I remember buying the ticket when it I still in my corporate job and I was seeing that this is something we are going to move into. And I just followed her on Instagram and was on her email list, you know, just learning about this creative world. And she opened it for tickets and I stepped outside in the parking lot and I called Wes and I was like, “Hey, this is a $4,500 investment, but I think I can make it back, can I do it?” And for some reason he said yes. And that is when, whenever people ask me like, what was that? Um, how did you go from just like, you know, nobody, not really, you not even really full time into having consistent, regular, high-end clients. And I really think it was getting in front of the women that I wanted to work with, but just investing in my education and go to a conference, meeting people. And I say that because what happened at that, I sat down with a girl that I was terrified to talk to over jalapeño margaritas, her name’s Jenna Kutcher. And for some reason she took notice of me, and interest in me and started asking these questions. She had just had her first miscarriage. So we connected, because I just got out of recovery. And so we were talking back and forth. And um, of course we leave a Illume and I’m thinking, OK, well that was great. Nice to know her and I’ll never speak to her again. She’s a celeb. And then, um, a few months later she reached out, she said, hey, I saw that you, I know. Remember you did email marketing copy for Delta Airlines, would you be interested in doing it for a course launch? I’m launching an Instagram course for the second time. It went well the first time and I’m looking to up level. This is her first program that she ever did. And um, I was like, “sure would you trust me?” And she was like, well, yeah, it’s not like we’ll just try it. I always think about like, I want to be that for somebody one day, um, cause she just, she saw the skills that I had in a corporate setting and how I could apply those to something that was different yet also the same. And um, that once I, like I had her on my, my client roster and I started really learning that, that kind of changed the game and I was like, OK, this is my sweet spot. Now this is your concern. And people trusted me because they looked up to her. So that was, that was the turn the Titanic around moment. Davey Jones: 18:16 And I got to imagine that it was difficult trying to, um, market to both brides on one hand, and then business in general. Ashlyn Carter: 18:26 Especially in all those break-up letters to corporate clients, you know, “I’m changing my clientele” because I think they were like, what, why, you know. Davey Jones: 18:34 And so, um, I mean, it’s crazy to think just the power of, uh, you know, relationships and getting out there and people always ask, and I feel like it’s the simple. It’s a simple answer. And so maybe I want to make it, you know, when people ask, I feel like they’re always expecting maybe something that’s more complex than it really is. But it’s, you know, go out and meet people. Ashlyn Carter: 18:34 Yeah, it wasn’t funnels, it wasn’t ads, it was relationships and niching. Davey Jones: 19:05 Yeah, that’s right. And I think, you know, in the beginning it’s those things that don’t really scale, you know, but they compound. And so when you and meet one person, and relationships, I do, I think they compound, you know, you meet one person and then meeting that one person turns into meeting, others, and so on, And so I certainly found that’s true of our business, but that’s so interesting to hear. Um, that’s how you found, that’s how you, you got your first clients and then after that you can focus on things that scale such as paid advertising and funnels. Ashlyn Carter: 19:34 I love how you said, you’re right. It does, it. That was great. That was a good sound bite. But you’re right, it doesn’t, it didn’t, it looks bleak for like, you, you think you’re like, why on earth would I A) invest all this when I don’t, you know, not ready yet to pay it off like it’s not just sitting there in the bank. And then, um, why would I, why would I say no? Why? Why, why, why? And um, it just seems stupid at first. I always tell people stick with it. You could be a generalist, but from the clients I’ve served and just my own experience, I’ve not seen generalist work scale as quickly. Davey Jones: 20:08 Yeah. Yeah. And I think when you find, um, and, and uh, I’m sure there’s different copywriting techniques and help with this. Um, but I know even when we left Rising Tide Society, you know, we had, I felt like all sorts of, uh, all sorts of skills and it was difficult to figure out, um, you know, which ones we’re going to focus on, how we were going to serve, who we were even going to serve within the creative industry. And it just took time. You know, I think it, I think part of it, uh, going through that process of kind of taking everybody I think sometimes can be helpful. Um, as long as you’re trying to, you’re trying to find those things that you actually enjoy. And then once you realize those things, starting to really be hyper focused on, on just that. So, uh, this seems to be a good time to kind of shift our conversation over to copywriting and really that’s what I want to get into. Um, so what is copywriting? Ashlyn Carter: 21:05 So copywriting is the art and the science of words that elicit action. Pretty much any of the words that come alongside the marketing collateral that you have in your business – that is copywriting. I personally don’t consider blog writing necessarily to be, and that’s something I think a lot of people are like, OK, so yeah, kind of your blogs, but that to me that it’s content marketing, its um, its content, but copywriting, I’m talking about those words that makes somebody taking action. All the words on your website, on your services page, any, um, emails that you get regular emails on that are asking you to do something. Any ad copy. I think we see you, um, I know you mentioned when we were ramping up for this call is this is such an old, an old form of communications. Um, think back to those ads that you see, you know, like an advertising first had that heyday in you, fifties, sixties, Madmen-era. That is where copywriting really had its birth. So when you think about it and its simplistic form, it was the, the copy and advertising. Davey Jones: 22:05 Yeah. And that’s fascinating to me because I do think that uh, it’s something that our industry is just waking up to. How powerful that this can be. And I think that when you start identifying different copywriting formulas and strategies that you see them everywhere. Even when you on the TV you see them, every Facebook ad you see from now on, you’re just looking at it through a different lens. And I think it’s so powerful that even knowing those things, we still, you know, we, we still get marketed to, you know, we still go down the funnel, so to speak. Ashlyn Carter: 22:38 I can’t tell you how many times I’ll be [working] on a funnel funnel and I’ll buy it or I bought them, this is why I shouldn’t say this either. I have bought, I’ve written courses, the course launch funnels and then, and they were in the process of building it out and I saw myself on it and then I bought it. That’s happened to me twice. And I know the clients like really? Um, but it’s, yeah, we know all the tricks but it still works. And I think that’s a kind of a fun, quirky about copywriting too. Davey Jones: 23:03 Yeah, I mean just the power of understanding some psychology and implementing it. Um, so what kinds of copywriting do you focus on? Because I do think it is a fairly broad, like anything else like design, you know, there’s different kinds of designs. So what kind of copywriting do you focus on? Ashlyn Carter: 23:18 Yeah, so definitely for creative entrepreneurs. Um, that is my primary primary market and wedding industry specifically is something that I’m just, that’s a passion product project of mine just because I know it and I love it. But we do website copywriting. So the brand messaging that starts that first pillar is the foundational element. And upon that you can build your website copy. That’s one service that we offer. And we also offer our launch copywriting, which is really just a fancy word for promotional period, right? Um, so the way that works in the online sphere these days is going to include a lot of emails, a whole lot of emails and um, they’re all mapped together and funneled out. And then, um, sales pages, which I think maybe your audience. I bet we’ve all hit the sales page, right? He’s, you’re in this business for a week and you hit the sales page and then ads, which we also, I’ll hit all the time. So that’s what we do and we don’t do the blog content marketing writing, we don’t do editing. I think there’s, once you start learning about writing as a service, you realize there’s a lot of different facets of it. So, um, that is some, I think at first he was like, well, should I do editing too? But no, there are people that are very skilled, incredible editors. Um, and that’s, that’s a different thing. So, that’s what we do. Davey Jones: 24:31 Hey friends! We’re going to take a quick 60 second break, so I can introduce you to one of my favorite companies and the sponsor of this episode, Showit. Showit is a drag and drop website building platform created especially for photographers and creative entrepreneurs. It’s used by some of the biggest names in the creative industry from Amy and Jordan Demos to Katelyn James. And it’s what we built our website on to. What’s awesome about Showit is that it’s both powerful and easy to use. 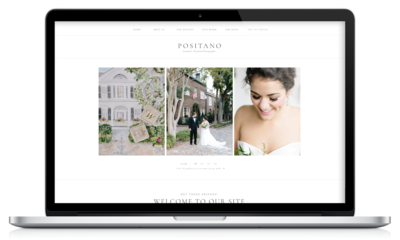 The intuitively designed website builder makes it easy to change colors, fonts, images, and objects. Finally, a website you can update on your own without having to hire a designer for every tiny change. It’s Google friendly and you can design the desktop and mobile versions of your website side by side to ensure your website looks great on any device and you can even integrate a WordPress blog with your Showit website making it that much more powerful. And, guess what? 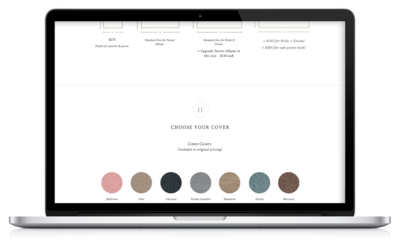 They have tons of free and premium professionally designed website templates to help you get started. But what makes Showit such a special company is their customer support. They’re super responsive and are there to help every step of the way. You can even save 10 percent on an annual subscription by using the code BTBSHOW. For more information. Check out the show notes and now back to our episode. Davey Jones: 25:48 Yeah, so you had to. I, I feel like you had to educate people on why this is important within, uh, within this industry. You know, this is something that I feel like I’m seeing more and more copywriters pop up, you know, I think in, in large part that’s, that’s, you know, to a certain extent I feel like you paved the way, um, in our industry and saying, you know, hey people, this is important and this is why. What are some things you did to educate people about the importance of copywriting? Ashlyn Carter: 26:12 Yes. So there I think they say too, like when they, when you see a saturated market, sometimes it’s a good thing because that means there’s a need. Go that way. I did not do that. I did the opposite. I saw an industry that I was working in and then over and over saw people were asking questions in the Rising Tide Facebook group and in other things and I was like that is freaking copywriting. Like that’s what that is. And I remember searching “copywriter”, “copywriting” in there because I was trying to find the questions I can answer. I can answer all the questions about copy. Nothing ever came up. Any search results ever found for the word “copy” or “copywriting” were things that I had posted in there, so I was like, OK, well this isn’t working. I’ve got to figure out how to educate these people on the thing that they’re asking for is called. It has a name and it’s called copywriting and so the first one of the first, and this is kind of a copywriting trick, but anchoring. I’m actually somebody pitched the other day something for me and it said, do you listen to Ben Shapiro? Do you know who that is? Ashlyn Carter: 27:09 He, he said one time he was talking about creative five I think or Skillshare, and he said, it’s the “Netflix of online courses” That is anchoring when you are able to communicate to somebody that doesn’t know something, it’s the blank of blank that helps them quickly understand it. And so I think I started looking and I was like, how can I explain to these people what copywriting is? And so I would kind of say, is the “mood board for your words” when I was trying to talk or for your. Yeah, for your words. When I’m talking about branding messaging, because everybody had their logo, their hex codes that are color palette, but nobody had any brand messaging. So it was like, whoa. So anchoring was one of the first things that I did. And then I also started, um, in this, the big educational component came in when I committed to regularly creating content. Ashlyn Carter: 27:55 Again, like you said earlier, the basics, right? But, uh, it was January of 2017 and I was like, I have made a lot of other people a whole lot of money and that has been so great. Right. You know, seeing the results from these course launches, I have not done anything from us. I have not built my list up, I have not had a blog. Like when I think about it, I never email my 200 people on my list. And so I started committing to just like, I’m going to create regular content, I’m going to educate these people on it. And then if that leads to something else… Then it takes that little uptick. Um, so those, those were some of the strategies that I used when I first realized that the market needed to be educated. And um, I do think that, um, in regards to your comment about other people, which I welcome, like there’s, there’s enough to go around, there’s abundance thinking with a mentality of abundance is so true and valuable. But I, I do always caution other people. If you want to truly find that Kismet, that success fast… [figure out] how can you fill the gap in the market. And I think that’s why [success] happened so quickly. So, um, you know, other people that are wanting. Whenever somebody asks me about writing, copywriting business, I say, OK, what is the whole, what is the one thing you want to do like niche, niche, niche. And that is where sometimes things take off. Davey Jones: 29:23 Part of the reason that you’ve become so big so fast is that you found that gap in the market. At the same time, though, we did such a good job of educating people on your services. And I think, like you said, um, and it’s not necessarily intuitive advice to go where a saturated market is because when other are doing stuff, it means that, you know, people are using their services, right? Um, for you, uh, you had the added challenge of educating people who didn’t really know what copywriting was or meant or, um, how important it is. Uh, you know, we’re going to talk about this in a second in the design process of a website. Um, you know, because everybody has their mood boards. Everybody has, you know, different versions of their logo. This color, that color. But, um, I wonder how many people listening to this have a, a brand messaging document. Davey Jones: 30:13 So that’s crazy. I also love a, and this is one of the things that we tell people all the time, if they’re struggling to come up with the content to create, go to the different industry Facebook groups that you’re a part of, you know, so, um, go to wherever the people are that that you’re serving that are asking questions. And so if you’re working with other creatives, the Rising Tide Facebook group, the Shoot and Share Facebook group, the Showit Facebook, and take note of what questions are being asked over and over and over again. Um, that is my favorite thing to do. There’s just so many questions being asked and you’d be surprised at how many times they’re asked. And so when you’ve answered that question in a blog post, you can, you know, you reply to that person and just say, “Hey, I actually wrote an entire blog post about this, check it out.” Um, so I, I love that, uh, you know, that was something that you mentioned. Um, so we’re, does copywriting fit in the design process? Ashlyn Carter: 31:11 May ruffle some feathers, but you like copy and you know design. So I personally believe, and I’ve been on both sides of the coin many, many times, copy dictates design. It’s just what has worked best. Um, so my, one of my first memories of this not quite working was when, um, Delta.com, we did a rebrand relaunch of that. It was, I can’t remember, it was probably 2012 ish, 13 maybe. Um, so like redid the whole website and the designers came to us and said we’ve got a 56 character count, we need a headline for it, you know, and like things like that and that, you know, we’ve got a sub head box needs this, body copy needs can only be this many characters. That was like pulling teeth. It was so hard. But you know, we figured it out and worked with it. But like I just think that there are times when the message was lost or could have been better if we could have gotten two more characters, but that perimeters were already set by the designers and they, for some reason they couldn’t change them. Ashlyn Carter: 32:07 Um, so that being part of my experience and then on the other end I work a lot and now, you know, I’m Jen Olmstead, of Tonic Site Shop and Jeff, they’re just fantastic people and incredible, incredibly gifted designers and to jen and I have worked in tandem enough that she’s designed many a sales page after I hand over the copy and she then comes back at me and says, can we edit this down? Or I, she’s, she’s a journalism background. I edited this. Can you take a look at it? And that has produced some of the most highly converting sales pages that we’ve seen, because she’s then able to, um, kinda chicken before the egg instead of how we usually think. So that’s my experience and that’s my thought process. I think one of the really simple ways that you can apply that is don’t write your copy in your website building platform. Don’t get and Showit and start trying to type your about page. Don’t get in Squarespace and start trying to type your headline or your tagline or whatever. Right? Pull yourself creatively and mentally out of it, write on whatever writing platform. There’s some, you know, with people writing books like Scribner’s great. There’s a lot of really great writing tools. Google docs. That’s what we use for all my clients. That’s what else. Several copywriting think tanks. That’s what most of us use. Pull yourself out of it, write your copy somewhere where you can think and if it can stand on its own, then it’s going to be good and highly converting. Davey Jones: 33:30 Yeah, I love writing copy just in a notebook, and that’s before it ever gets to a website and I think that Krista and I with some of design clients, that ends up being one of the things that holds up the design process is because there’s not this understanding and we certainly should do a better job of educating people about this specifically, but there’s this idea that we’re going to come up with the design and then you plug in, you know, you kind of plugged into words after that. When really you need, you need the content up front to figure out what the, what that design is ultimately going to be for the page on that website. Ashlyn Carter: 34:04 I know nothing about design, but I’ve heard that being um, a few of my design friends who’ve said, yeah, waiting on the content. So yeah, exactly. Davey Jones: 34:11 That ends up taking. So, uh, that is uh, so that’s great. And again, that’s something that we need to do a better job of educating people about. So when you are working with a designer, do you, you mentioned this with Jen, do you write the copy up front and then send that over? And how would you prefer? I’m like, are there best practices of working with a copywriter? Ashlyn Carter: 34:44 So one of the biggest things that I think I see is um, when I’m asking somebody as high as the copywriter, kind of similar to how a designer works, like OK, I need this stuff, like I need the raw material in which to craft from. And I think that a lot of times when it comes to our copywriting clients I’m like, OK, get me soup to nuts or whole client experience and process. Like I want to hear every bit of it and you know, well I plan and design weddings, so just everything that that entails. I’m like, no, but we need to know everything. So like, get, you know, give, give it to me. What do you, what does that first call like? What are you talking about? What are the deliverables? They, I don’t think so. That’s my first tip. I think when you can look at your process, your product as a copywriter, I’m and I’m sure you know this, these are your features, benefits. You know, you always figure out the features and then you ride the benefit for it. But I need the features. And so I think that one thing that we can do as creatives, is really make sure that we know what all does your process include, what all your quote unquote, to use corporate speak, your deliverables for every single bit of it. How many hours of call time, you know, how many rounds of edits. All of these things. I think you’ve got to figure out either before you sit down to write copy yourself or before you hand it over to a copywriter. So thinking about that. And then the other big thing I’m thinking is foundational that people need first is an understanding of, it sounds so basic, but like who they are, what their vision is, what their mission is. Ashlyn Carter: 36:04 Um, just we have so many clients that come to us for the website copy that don’t have a mission statement, a vision statement, an elevator pitch. They just have a title. Um, and we need so much more than to write copy. We’ll pull the personality and I think a lot of people think that is voice and we’ll pull the, well, you’ve got that innately, like we’ll pull that out you. But what we don’t know is like your vision and your mission. And so all of those foundational elements, I think you nou need to develop and spend time in. Davey Jones: 36:35 So when you’re, uh, if someone’s going about redesigning their website, let’s say, should they find a copywriter, work on their content and copy first and then reach out to a designer? Or do you kind of prefer knowing right off the bat, OK, here’s the designer that I’m going to be working with. Um, you know, and, and so that you can establish a relationship with a designer as you go through the process. Ashlyn Carter: 36:59 Yeah, I’ve worked both ways and I actually had a call with a client this morning and I said, OK, we’re looking at your website now, are you in the middle of a redesign? Like what? Because people, I think, and that’s something I’ve had to learn when you’re talking about like I’m kind of leading your clients that we’d had to learn that that is one thing that um, has gone a few different ways that I think there’s, it usually works best when either it’s in tandem or copy is first. I haven’t seen it work as good on the other end, but, um, that yeah, that’s usually how we like to roll. Davey Jones: 37:28 Yeah. OK. So that’s good to know. Um, so now if somebody is doing this on their own so they’re getting, they’re getting started or you’re not in a place where they can afford a copywriter. And again, these are all good things to know on some level, on your own anyways. So what are some practical strategies that somebody can implement today on their website? Um, you know, to write high converting website copy to get people to book or to inquire or to take whatever action it is that they’re looking for people to take. Ashlyn Carter: 38:00 OK, I love this question. I have three answers for you because I do think that your website 1.0, and maybe even your website 2.0 needs to be written by you. I think it is just not the best investment of your money and spend a few thousand dollars on copy for your website when you haven’t had that product or been doing that. Like you need to know your system. You need to know your process. You need to know your market, you need to know your story. You need to have all of that. 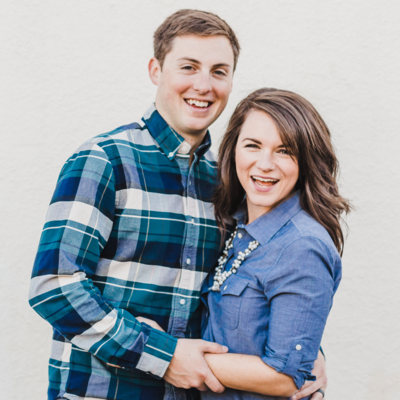 Ashlyn Carter: 38:33 I think I’ve seen that from working with a client who she was more on the front end of our business and um, she’s not doing that anymore, you know, and we’ve all made investments in our business and then you shift and you pivot and um, but that, that’s my recommendation. Know it well enough to DIY it, study it. You should do version one, version two. When you start to be able to outsource then then start working with a copywriter. Um, and I definitely think there’s some things I’m like, launch funnels that I was talking about and is really, um, when you, when you need to make, you know, a couple hundred thousand dollars or tens of thousands of dollars or even if you thought a five figure launch off of a product, maybe it’s a good investment if you can really see how that’s going to come back. Um, but what can you do yourself? Ashlyn Carter: 39:14 So, you, you took my first one, but it’s so good that I’m the Facebook searching data mining. Another really good place to look is Amazon reviews. Um, that’s one thing that I like to look up but not, don’t just stop and getting ideas, bank them somewhere, I call it copy banking, um, swipe files, data mining, whatever you want to call it. House those words somewhere? Um, I, uh, you want to know what they know, what they think, what they say and what they do about this problem. These are the big four. So if you can pull that information over. Um, and I also, this is for free. I didn’t know I was going. I usually don’t tell this to people unless you’re a student, I always say to you want to get that FTS moment. And the FTS moment stands for the “Eff this shiz” moment. So you want to know when your a client or prospect has that moment where they’re like crying into their Merlot and they’re like, I’m done. I’m done. I will pay for this. I am so over this problem. This is not going away. If we can figure out that, we’re going to be able to write good copy. And so, um, that’s my first tip. Spend a lot of time data mining. I think too, sometimes people’s expectations of working with a copywriter is like, oh, I’ll just, you know, give them my words and they’ll just edit it and make it better and send it back, but like a copywriter spends probably 70 percent of their time in research. Getting all these raw elements together. So that’s my first tip. Data mine, use Facebook groups, use Amazon reviews. Do you want me to pause or do you want me to keep going? Davey Jones: 40:43 Can you repeat what you said earlier? So you want to know four things. Ashlyn Carter: 40:48 So what they know about this problem, what they think about this problem. So what they know are the things that like, these are factual. What they think is when they’re like, “I bet there could be a better way.” What they say, what are, how are they communicate actually like saying, not just saying to themselves but saying to other people about this problem, what are they doing to try to fix it? And these can be positive things, these can be negative things. They can be positive. You know, they’re listening to every single business podcast on the planet, but they just found out about entrepreneur world and they’re so excited to dive in, you know, like, um, they always listen to Amy Porterfield every Thursday and they cannot wait and they go on a run in the morning, you know, like what I, she’s a nurse. She wakes up, she, you know, like I want to know very specifically whatever client Avatar it is, what they know, think, say, and do you want to know their FTS moment too? Ashlyn Carter: 42:06 Which was brilliant. I think you need to realize how brilliant that switch was. That was so good. Davey Jones: 42:10 Think it’s something that we, it’s certainly not anything that we realized right away. It took a lot of listening and kind of and realizing, OK, this isn’t working out, how we want it to work? Um, and so I think it’s a lot of trial and error and in fixing that. What about Amazon? So how would you use an Amazon review? Because I haven’t heard that tip before, so how would I, how would I go about implementing that? Ashlyn Carter: 42:37 The people that get on Amazon and write these really long reviews, it’s very interesting to me, but they exist. And so why not look at what they’re saying? So like, say you are a wedding planner. Just going to use a very basic creative industry examples. You’re looking up books on how to plan a wedding. You’re going to want to go down to that area and talk. You want to look for what they liked that they learned. Like what did, what did they, what was the best part of this? They finally figured out how to X, Y, Z. What was left out from sometimes the negative reviews. People will be like, you know, they never helped you with this. This is really confusing. Planning a wedding and nobody ever showed us how to do this in the book. Those little moments can be gold gems. Um, you can’t always. Sometimes Facebook groups help you get really right to that demographic. Like you said, and joining groups, I think too, it needs to be said join groups that are, you are not, you’re going to be a fly on the wall. You’re not going to be, you’re not the, it’s like I’m in a couple of groups on brides for client work obviously. Um, but they’re all brides. I’m not a bride right now, but like I sit and listen and take notes and I watch. Um, so join a few groups like that as well. Davey Jones: 43:42 Yeah. And that’s the. So when you’re part of those groups, um, do you ask questions ever or are you just listening? Ashlyn Carter: 43:48 I have before for clients, I always am, like, what do people think about, like some of the things that I ask especially like, which Webinar title? Which are you excited to sign up for? Your workshop and um, see what people say. So sometimes I do, um, ask questions. Davey Jones: 44:05 Yeah. And I’m sort of split on surveys. I used to be a big believer in surveys and I still think that they have value on some level, but on another level I feel like people don’t, they don’t, uh, they don’t know what they want. Yeah, they don’t, they don’t reflect necessarily what they’re actually looking for, which is interesting. So anyways, point two, point one was awesome, so I can’t wait for point for point two. Ashlyn Carter: 44:34 Learn to write a better headline. I think that like that is, that’s again, like we’re talking about a lot of basics today, but if your headline isn’t being read, nothing else is being read. And I think a lot of times I’ll see really bad, big, headlines in the creative world with words that we see all the time. Words that just don’t carry any weight. Like “creating authentic brands” or something, you know, like know, like speak, get cut to the chase, get to the point. I think I’ve got a blog [post] somewhere on headline formulas, but headline formulas are a-plenty if you want to run a Google search, but if you can get good at writing headlines and email subject lines and then if you’re good at those, start split testing them, start split testing them on websites. Ashlyn Carter: 45:18 Um, I think a split test needs to run for a week before you can see, like a normal week, not a Christmas week. Um, before you can see like did people react to that? Did people click on that button when it said that? Did people, you know, and heat maps hover over that section or not. Um, but that can be something that’s really helpful too. But by learning to write a better headline, you’re just, you’re, you’re banking on yourself that you’re, the rest of it’s going to. The rest of your copy is going to pull the weight. But the headline at least got their attention to look at it and decide if it was for them or not. Davey Jones: 45:55 And I think it’s so helpufl, splitting things down into the next step. Thinking about what the next step is for people. So starting with the headline, the point of the whole point of the headline is to get them to click into whatever’s next. And then thinking about first sentence and the goal of that first sentence. It was a real eye opening moment for me because a lot of this stuff can be really overwhelming, but just leading people through whatever you want them to do and if you can break them down into little steps like that, starting with the headline, I think it makes a huge difference. Ashlyn Carter: 46:31 That perfectly segways into number three. Ashlyn Carter: 46:37 OK, so you want to break up your copy and I think she would be comfortable with me talking about it here. I recently built out a funnel campaign for Shay Cochran of SC Stockshop. And we were going back and forth through the edits. I realized I need to do a little bit better job communicating about what is working in email copy these days. Big Chunks is not working on on websites or anything. People to play read in an F-shape formation on the Internet. They have for about, I think it’s been about five years now. That’s been kind of. You read that first and it’s half the second, jump first and it’s half the second, jump. So when you’re writing, especially email copy, there should be like very few paragraphs. The best converting emails from entrepreneurs who are just killing it. it’s, you know, even two words, line break. One sentence, line break. And I um, I know sometimes when I like, when I gave that to she, she’s like, OK, I don’t want it to be like too unprofessional and it is that balance that you want to strike, but that there’s a couple of psychological things that are going on there. When people work their way down the page, they get that, that reward mechanism and their brain kicks in so they feel like they’re making progress. This isn’t worn piece were reading. Just visually breaks it up too. So I think that’s something that I see all the time. There’s just too many texts peer hard on websites because a lot of times we want that beautiful column so clean. But I don’t have a problem with that. As long as you realize that majority of people are not going to read your third and fourth sentence there, so just don’t put the, you know, just know that. I don’t think it’s problem. I’m kind of the same with bullets is typically people read the first and the second and the last one so they don’t read those other bullets. And so just visually you can put things wherever I think that’s a good thing to do, but just just know that one broken up copy typically performs better. Davey Jones: 48:26 Yeah, I mean it’s, it’s, I, I think of just the emails that I get and I’m on a lot of different email lists because I’m so curious about what people are sending out. And the emails that I want to go through or that I open and actually read through. If it was just one long paragraph, the chances of me actually reading through that are slim. But um, most of the people whose email lists I’m on, they do that. It’s one or two sentences break, you know, and it, and it leads you through, um, you know, eventually to whatever their, their call to action is. But yeah, that’s uh, I think again, one of those eye opening things, uh, just when you start thinking about these kinds of things intentionally and the difference that it can make for engagement in emails. One thing that we always try to do is keep it short because we realize that the longer it is, the less likely somebody is going to get to the call to action. Davey Jones: 49:17 So we do our best to keep the call to action above, you know, above the fold and then always have one. Ashlyn Carter: 49:17 Always have one too. Davey Jones: 49:28 Yeah. And I found, you know, I’ve, I’ve caught myself and especially when you’re not doing this for mobile. And so this is kind of the, I think the design piece of that. Is that what’s short on a desktop, it might not look short on mobile, you know, I’ll have worsens. Yeah. And, and um, yeah, because I, I do feel like as professionals we’re working on desktops all day, but most people are, you know, when they, when they get our emails are reading them from a mobile device. So we’ve noticed that, you know, if I open one of my own emails up on mobile and realize, oh crap, it’s just that it looks like a big paragraph, you know, uh, I can almost guarantee that our click rates going to be lower. Ashlyn Carter: 50:06 Exactly. And I like the, you mentioned the numbers. I think like the most fascinating thing about all of this is like there’s really no, there was one of my favorite copywriters mentioned like quote unquote rule that she has not found true. I can’t, I wish I could remember what the rule it was, but all of these suggestions that we’re talking about like try your audience, what is right is what your audience responds to you. So like test, everything. Test, constantly measure everything. The numbers don’t lie. So like whatever you’re seeing work for your list and your numbers, keep doing more of that. Davey Jones: 50:39 Yeah, yeah, for sure. So most of this stuff we’ve been talking about, do it yourself copywriting and um, if somebody wants to, you know, they’re, they’re eating up what you’re saying right now, which I’m sure they are. Where do they learn more? Ashlyn Carter: 50:56 My website is AshlynWrites.com and I am on the Internet, on social media at @ashlynscarter. Davey Jones: 51:03 OK, awesome. And um, one question that I have gotten from and I, I feel like I have to ask. It wasn’t the scope of the questions that I sent over, you know. But when I, when I asked our course students, hey, what’s one question that you would want Ashley to answer? Almost all of them said, uh, you know, they struggle with their about page. So quickly. Do you have any kind of off the top of your head, uh, tips for tackling an about page or maybe, yes, maybe you’ve written a blog post about this already or something like that, uh, that you can direct people to. Ashlyn Carter: 51:37 I think there’s an about page blog post and I am revamping or used to have a mini course on a free mini course and I’m revamping that. But I can run down the recipe real quick. So you want to start with an attention getting headline and kind of how we’ve been talking about today. This may not be, it’s not about you on your, about page, and this may be that something they know, think, say, or do, um, this may be that FTS moment has been reserved more for your work with me or your services page. I did have one student the other day say, “I feel like I’m writing similar bits of copy on multiple pages of my website.” And I was like, good, that’s a good thing. It’s OK if your about page doesn’t feel much like your LinkedIn bio. This is a good thing. Ashlyn Carter: 52:20 It needs to be some marketing collateral. It means to market. So you start with that attention getter and you reassure them that you’re in the right spot. And then that’s where you introduce yourself and your credibility. You want to reassure these people that you have what it takes. You’ve cut your chops and dive into a little more of that. And then you always end it with a call to action. Um, you don’t ever want them to land. And I know you teach this on any page and not be ushered into the next place to go. You always want to let them know, it is getting more and more comfortable or a part of our landscape as a creative entrepreneurial group to have, um, these longer about pages that show bits and pieces of your personality and that’s a good thing. We have to do that to a great quote. I put it in quotes file and I put it in there. I don’t have it memorized. Um, but a brand has life and breath that breathes. It’s like, so you want to like flush that out on your about page. There’s no better place to talk about your story and your favorites, your likes, your dislikes and create those connection points. But as far as the copy goes, that stuff, how that recipe I just ran through has to be there. But then other than that go crazy. Davey Jones: 53:27 Yeah, that’s great. Um, I like what you said at the beginning. It is for the person that you’re reading about. You know, I think the one thing that we teach is the about page is it’s about you, it should have your story, but it’s also about the person who’s visiting your site. You know, they should be able to identify their needs in there somewhere. Um, so, uh, if somebody wanted to improve their copywriting skills, they can certainly go to, and you’ll have your course launching it again sometime this, um, this spring I assume. So I’ll make sure. OK. April. So those, that will go in the show notes. What else? Uh, are there any other books or favorite resources that you have a that people should definitely check out? Ashlyn Carter: 54:10 OK, so the first one, Copyblogger’s website is so great. I think that that is, um, a great. Especially we talked about content marketing a little to that one has a great synopsis, the overlap of like content marketing and copyrighting and conversion copywriting. So that’s a great and it’s easy to understand. It’s very applicable to your business. So CopyBlogger.com is one that I always recommend. And then two books, I actually recommended to Megan Martin and I’m pretty sure she, I know she bought both and I know she read one, she might have read the other. Um, but she told me she really enjoyed them. The first is Influence by Robert Cialdini. It was written in the eighties and he talks about the six levers that we’ve got a pull to kind of get people influenced and to buy from us or to book us. So that’s really interesting. It’s easy to read. Um, he’s a psychologist but it’s not overly science-y. And then the other book that I recommend is Breakthrough Advertising. That’s by Eugene Schwartz was written in like the sixties I think, and it’s just like the Bible, I think it is on Amazon for like, well, it’s been like a hundred 40 something because there’s very few in print. I won a copy one time and that’s how I have it. Um, but that book is breaks down just the basic principles. I’m headlines and features and benefits. Just like it is the, the, the manual on copywriting. Ashlyn Carter: 55:46 Well he updated it in 2007. But, um, there was, uh, if you could even tell now, you know, you read a few that and you’re like, well, I’m not sure that would work today. Davey Jones: 55:53 But again, just to kind of the um, uh, the, yeah, how evergreen human psychology is, right? You know, like, the strategy or tactic might change a little bit. But these components of human, of human psychology that things like copywriting tap into. Yeah, they don’t, they don’t change. And so something from the sixties I think can be, can be used or strategies for 60s can be used today. And you know, I think that I think that everybody should take some time to improve their copywriting skills. You know, even if they get to the point or even at the point where, where they can hire a copywriter. I’m like you said at the beginning, about people writing their own site at first. Version 1.0, version 2.0. We tell people the exact same thing for design. Design your first website. Design, your second website. 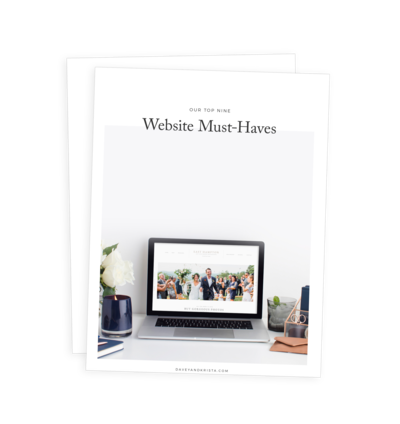 There are so many resources out there, you know, there are templates for Squarespace, WordPress, Showit – whatever content management system you’re using to share your work. Because your aesthetic, I mean, you should see the first photograph we’ve ever first wedding photos we’ve ever taken and how different they are from today. I think they’re still good, but they’re, the aesthetic is just a lot different. Um, and so you don’t want to drop, I mean, between know somebody’s doing branding, design, copywriting for you, um, that could easily be a 10k project right there. So there’s nothing. And I think that that would create a bigger hurdle, unnecessary hurdle early in your business then hiring somebody to do all those things and realizing like we did, even a year ago. Oh wait, our messaging, not quite right. You know, we’ve got to fix it, or who we thought our ideal client is, nah, that’s not, that’s not who it is. Or I thought this is the style photo that we were, you know, when we switched from digital to film, the aesthetic changed, you know. Fortunately I have Krista, and she kind of hates it. Uh, you know, when I’m like, we should update our website, you know, she’s like really, again? Ashlyn Carter: 55:53 I’ll pay you in tacos tonight. Davey Jones: 57:55 Yeah, that’s right. That’s right. Well, and thank you so much for taking the time, uh, to, uh, share the things that, you know, even things that you don’t usually tell people in podcasts, you know. Yeah. But, you know, I think again, this speaks to just how much you know. And so if you liked what you heard today, you need to go and check out Ashlyn’s website and put on your put April, you know, mark in your calendars that in April, Ashlyn is going to be opening the doors for copywriters, copywriters, copywriting for creatives a course. Again, um, I know that we have students that are also in your course, um, and they love it. So make sure that you mark that on your calendar and go and follow Ashlyn on a really everything but instagram for sure. Ashlyn Carter: 58:43 Thank you so much, Davey. This is a blast. Davey Jones: 58:46 Yeah. Well, we’ll have to talk to you again soon.